Welcome to our helpful guide for Brazil. Should you be looking to travel, live, relocate or do business in the sovereign state, we will give you a helpful head start on understanding the country and its cultures. Brazil (Federative Republic of Brazil) is the largest country in South America, and is the world’s fifth largest country by both land area and population. As such, it borders every other South American country other than Ecuador and Chile, and is flanked by the Atlantic Ocean to the east. Climate: Varied, spanning tropical, subtropical, temperate, equatorial and semi-arid zones. The culture of Brazil is very diverse, due to the ethnic and cultural mixing that took place during the colonial period. Brazil was part of the Portuguese Empire for over 300 years, and therefore a lot of their culture is based on Portuguese culture. Brazil has also been influenced over the centuries by immigrants and colonists from other European nations, including Italy, Spain and Germany, which have contributed to the multifaceted elements of its culture. As well as western influence, the culture of Brazil has also been shaped by the cultures and traditions of its indigenous peoples and by the Africans who were brought over as slaves by the European colonists. In Brazil, the idea of beauty is very important, and Brazilians set great store by their physical appearance. Plastic surgery is relatively common, and in fact Brazil has the most plastic surgeons per capita in the world. This often deep-seated desire to attain a high standard of physical attractiveness also shows itself in the typical clothing worn by the population. Brazilian clothing tends to be brightly coloured and extrovert, and will generally be cut to show off the wearer’s body to the best advantage. In modern Brazil, there is a preference for casual clothing, including beachwear, helped perhaps by the hot climate to be found throughout most of the country. In a business context however, clothing is very similar to that found in most of the western world, with suits and ties prevailing for men, and simple dresses or trouser suits for women. Brazil’s official language is Portuguese, which is spoken by the overwhelming majority of the population, although there are some very small pockets of indigenous peoples and immigrants that do not speak the language. Brazilian Portuguese differs from European Portuguese more than you might think, with many words and phrases being borrowed from indigenous and African languages. In many ways, the differences between European and Brazilian Portuguese are comparable to the differences between UK and US English. Brazil is also home to over 180 indigenous languages, though these are mostly only spoken in remote areas, and the numbers of speakers are on the decline. There are also communities speaking other European languages, including German and Italian, though in these cases the dialects spoken have been influenced by Portuguese. Brazilian Portuguese is written using the standard roman alphabet of 26 letters. Traditionally written Portuguese in Brazil has been based on the language used in Portugal, with Portuguese writers being used as models. However, in recent years the trend has been moving away from this, and for embracing the more Brazilian elements of the language in the written as well as the spoken word. Brazilians are typically open and friendly people, and this is reflected in their behaviour when dealing with others. When having a conversation with a Brazilian, expect them to be animated and engaged. Interruptions and interjections when someone else is speaking are not necessarily considered rude, as they demonstrate that you are engaged in what is being said. Bear in mind that physical contact and close proximity are both common, particularly between men, and that you will be expected to maintain good eye contact whilst speaking to someone. Family is a very important part of Brazilian culture, and many smaller to medium sized companies are likely to be family owned and operated. It is possible that you may be invited to someone’s home for a meal. If this is the case, then it would be customary for you to bring a small gift with you, such as wine or flowers. It would also be well received for you to send a gift the day after being entertained, to demonstrate your gratitude. Music and dance are very important in Brazil, and Brazilians are generally very proud of their musical heritage. Few events in Brazil encapsulate the countries culture more than the famous Carnival, a very popular annual festival which takes place to mark the beginning of lent each year. 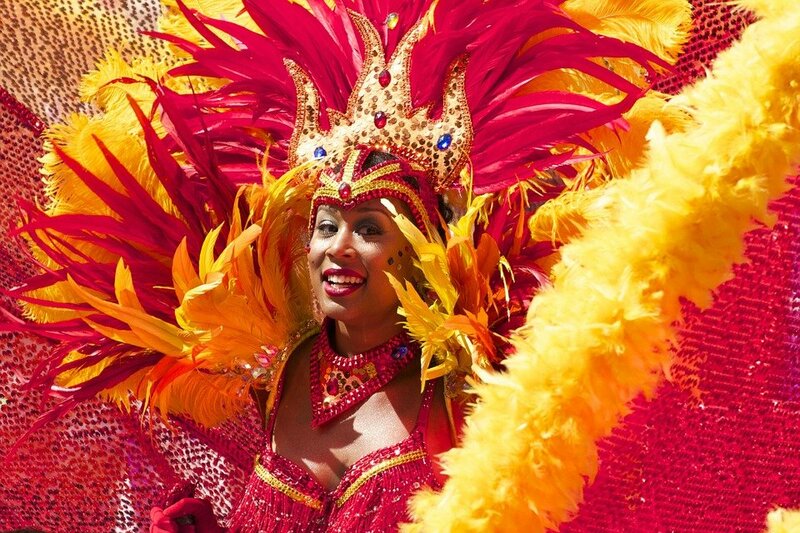 Exact customs vary from region to region across the country, but samba dancing and exuberant colourful parades in the streets are common in the larger cities. The majority religion of Brazil is Christianity, with around 60% of the population identifying themselves as Catholic, and a further 20% identifying as protestant. Being a diverse country, there are also a range of other minority religions throughout. When meeting people for the first time, men will commonly shake hands, albeit vigorously, with back-slapping not uncommon. For women, air kisses are the more common form of greeting, once to each cheek. Be careful however only to touch cheeks and make a kiss noise rather than actually kissing each cheek, otherwise this could be misinterpreted as more than just a friendly greeting. Appearances are important in Brazil, so make sure that you are smartly dressed with shiny shoes. Expensive jewellery/watches and other accessories will be noticed and will suitably impress. It would also be a good idea if you are staying in a hotel or are hosting a meeting to book somewhere impressive so as to give the right first impression. Business cards are commonly exchanged, and it will go down very well if you have some cards translated into Brazilian Portuguese. Business meetings will typically be scheduled around 2 weeks in advance, and it would be a good idea to call and confirm a day or 2 beforehand. It would be a good idea to avoid planning meetings first thing in the morning or during the hottest hours of the day, and allow plenty of time. In Brazil, the emphasis is always on people and personal relationships, and therefore expect lots of small talk and chatter – this may have more of an impact on the deal you are trying to close than the presentation you are giving. Be wary of trying to push past the small talk to “get down to business”, as this can be seen as rude. Good topics to bring up would be football, food, art and family life. Avoid talking about touchy areas of politics and any criticism of the country or its people, as you may cause offence. Meetings in Brazil will likely be noisy, animated affairs, with many people talking over each other. If you are making a presentation, then it would be good to keep it short and to the point, and bear in mind that your performance may be considered more important than its content. Expect to be interrupted and asked questions. Avoid trying to rush matters to a conclusion, as Brazilian business people may not respond positively to being pressured into making a decision, preferring a more relaxed approach. If follow-up to a meeting is necessary, then make this as personal as you can, either over the phone or face-to-face if at all possible. Be ready for more small talk! 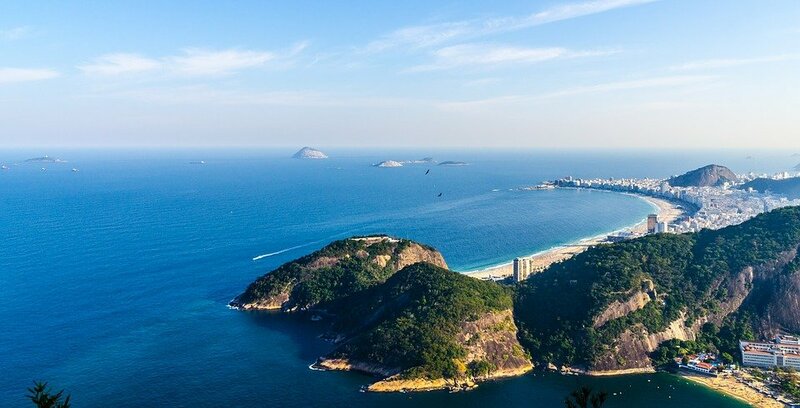 If you are planning on moving to Brazil, then there are a few things you should bear in mind. The cost of living in Brazil is difficult to compare to the UK. Whilst many things, such as rent, are likely to be a bit cheaper, there are also things which are much more expensive, such as wine, champagne, furniture, cars. Make sure you have a plan and a budget before you try to move, and if you can take your own furniture with you, then so much the better. On the plus side financially, Christmas bonuses in Brazil are compulsory, and if you have worked for a company for the 12 months leading up to December, you should expect to receive an extra month’s wages. Merry Christmas! One of the first things you need to do when moving to Brazil is apply for a CPF (tax ID number). This process is very bureaucratic and can be extremely time-consuming and frustrating, so make sure you factor this into your timescale. 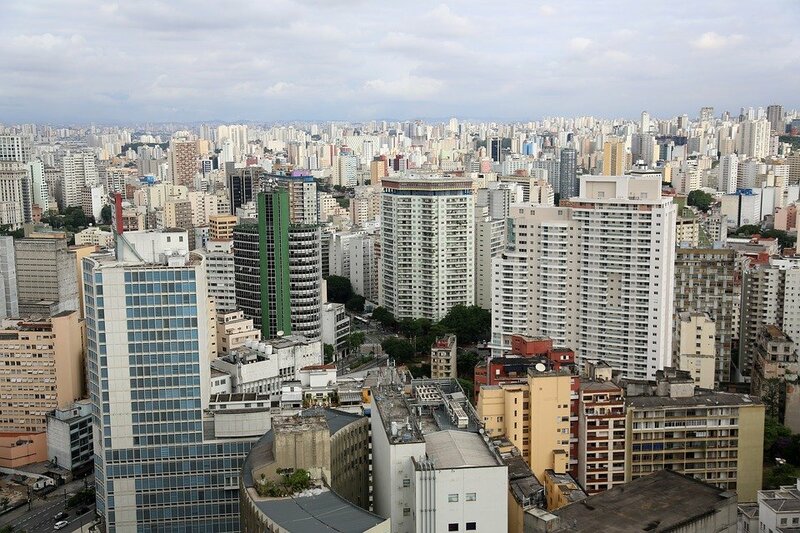 Brazil as a country is becoming an increasingly safe and prosperous place to live. However, you still need to be sensible: avoid visiting favelas and more dangerous areas where you can avoid it, and when you are there try to avoid flaunting expensive items like cameras, or you may end up losing them. As long as you don’t wonder around looking like an obvious tourist you should be fine. If you’re planning to move to Brazil for work and need important documents translated into Brazilian Portuguese Kwintessential have you covered. Our certified language translation service may help when navigating official document translation. Get in touch for a quote today.